Eddie Jones / Rob Huff / Bill Osborne / Eddie Curiel – Jones Studio Inc.
Sherwood Wang / James Trahan / John Anderso / Troy Vincent – 180 degrees inc. While we may not always see it for ourselves, each PLACE has the potential to inspire great possibilities. All of us explore, create and move our way through the world. The places we live become the context of our stories. These places hold a unique quality that makes them specific and memorable. This can be called a place’s identity. 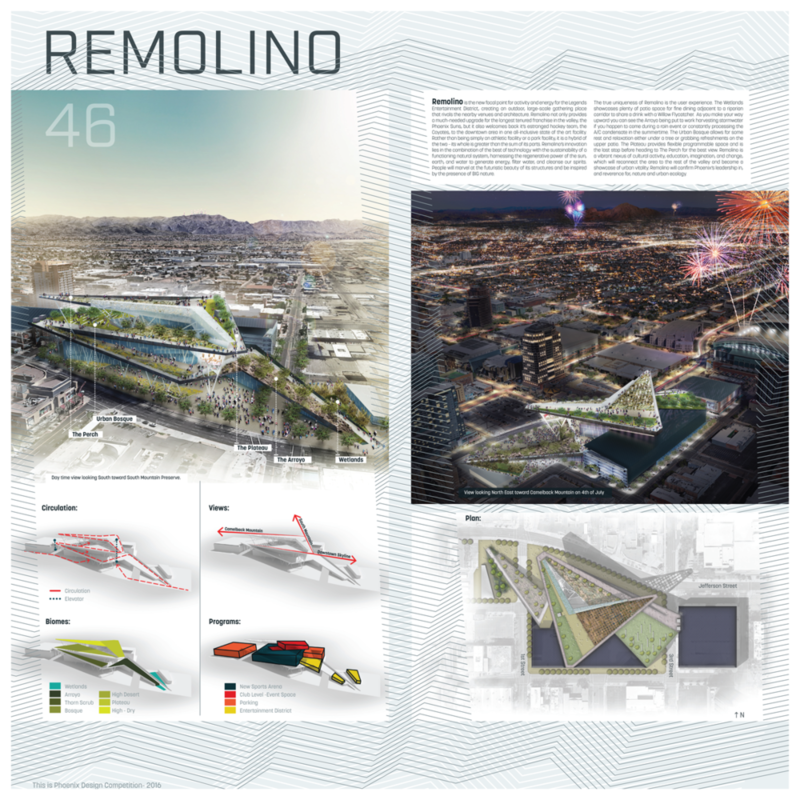 While Phoenix is a relatively young city, it has a growing identity. 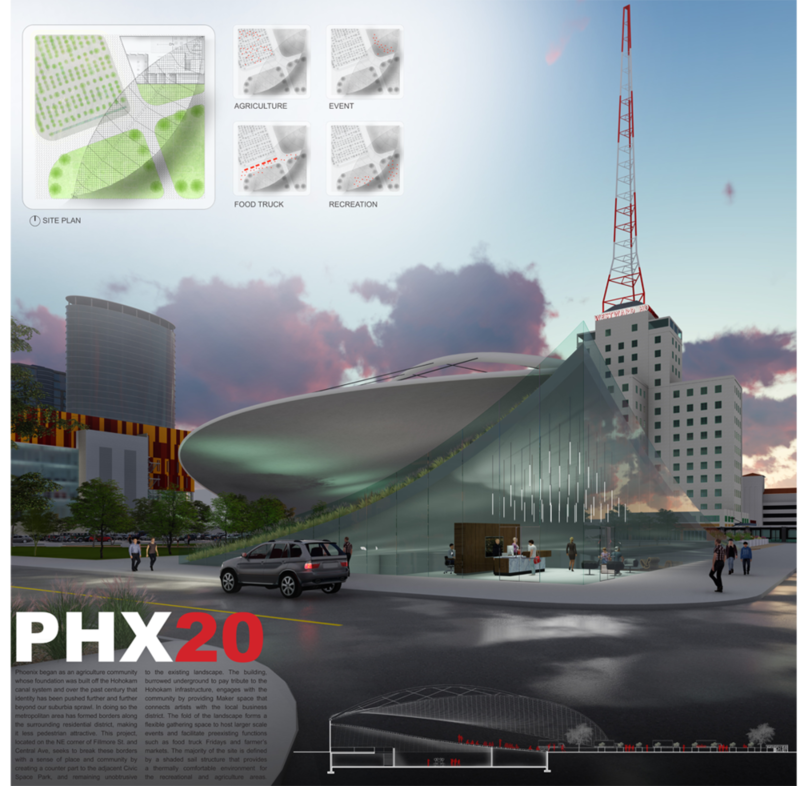 The City is calling for that identity to be clarified, highlighted, documented and celebrated in a new design intervention that celebrates the essence of Phoenix. We are calling all placemakers - architects, planners, landscape architects, designers, storytellers, graphic thinkers and visual artists – to help flush out the story of Phoenix. Create a truly unique place or experience that becomes emblematic of who and what we are as a city, a community, a PLACE. Phoenix enjoys broad national and international familiarity while not always being recognized for its distinct identity. It’s often seen as a place where people have come to re-invent themselves, a place of transition. It’s an environment of unique geography and climate. It has specialized, yet quickly evolving economies and resources. While sometimes maligned, it has robust transportation infrastructure and capacity for physical growth. 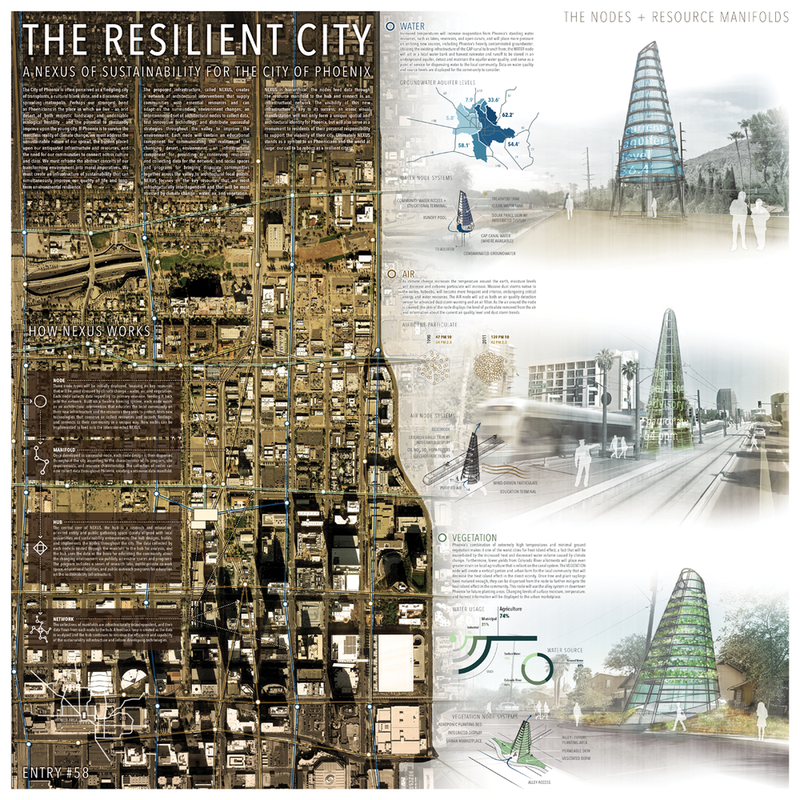 It’s a city poised on the edge of transformation, yet some contend there is no entity or place that is quintessentially Phoenix; no identifiable symbol/aspect/representation that captures our City’s unique qualities or leads the way to what Phoenix could become. 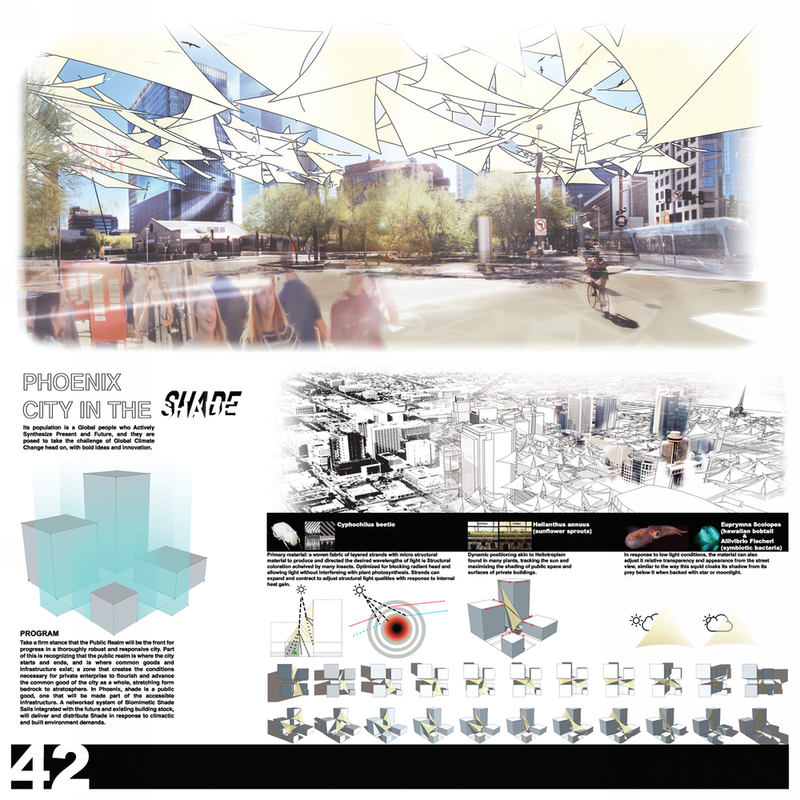 THIS IS PHOENIX is a competition that asks entrants to propose an innovative program and design a structure, an element or a place, which supports that program, and expresses the uniqueness of Phoenix. 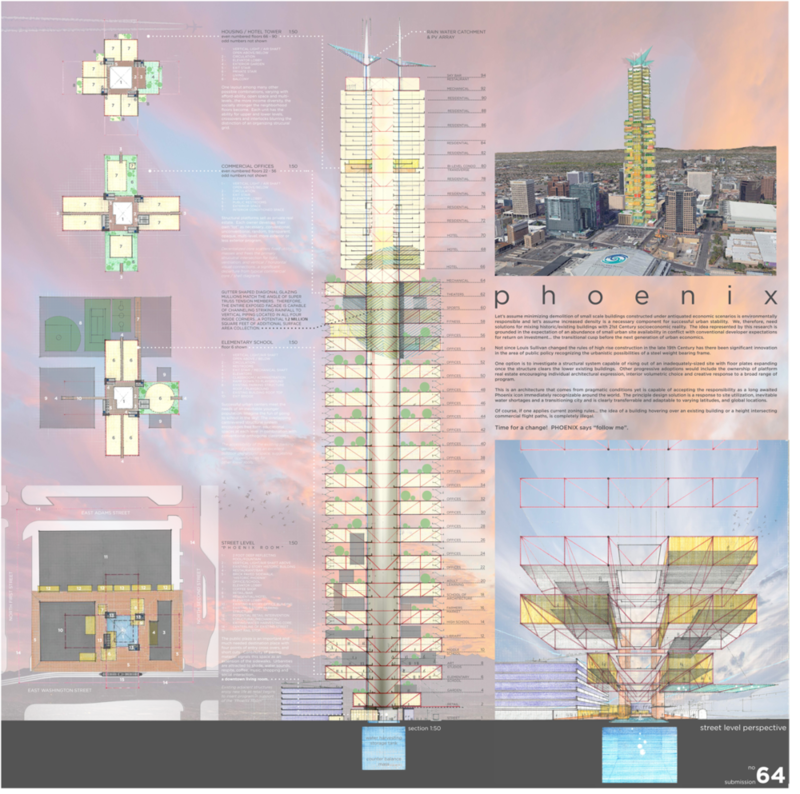 The entrant’s assessment of what Phoenix is or could become is not limited to what is contained in this brief. 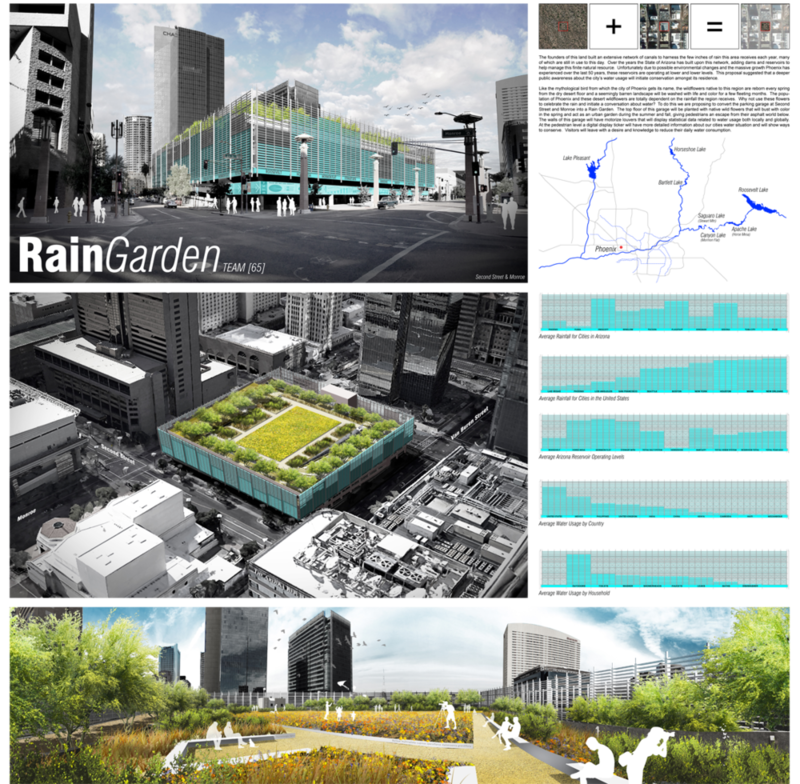 It is hoped that creative approaches will be considered in both programming and the entrant’s physical project. 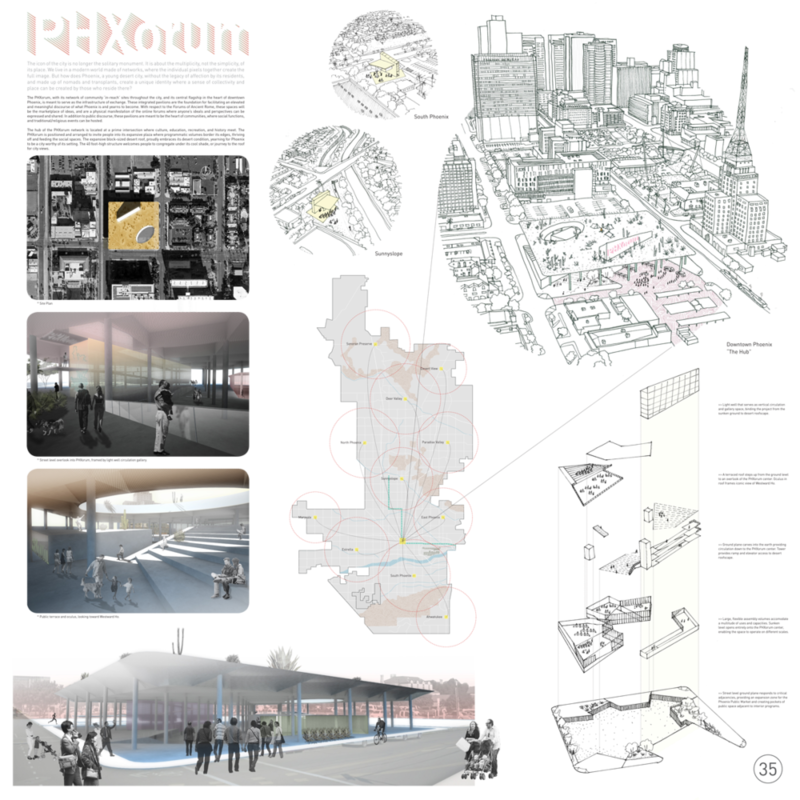 Entrants are allowed to propose any use and any built form that they feel best communicates and celebrates the City. Entrants will not be limited by specific zoning laws or overlays. 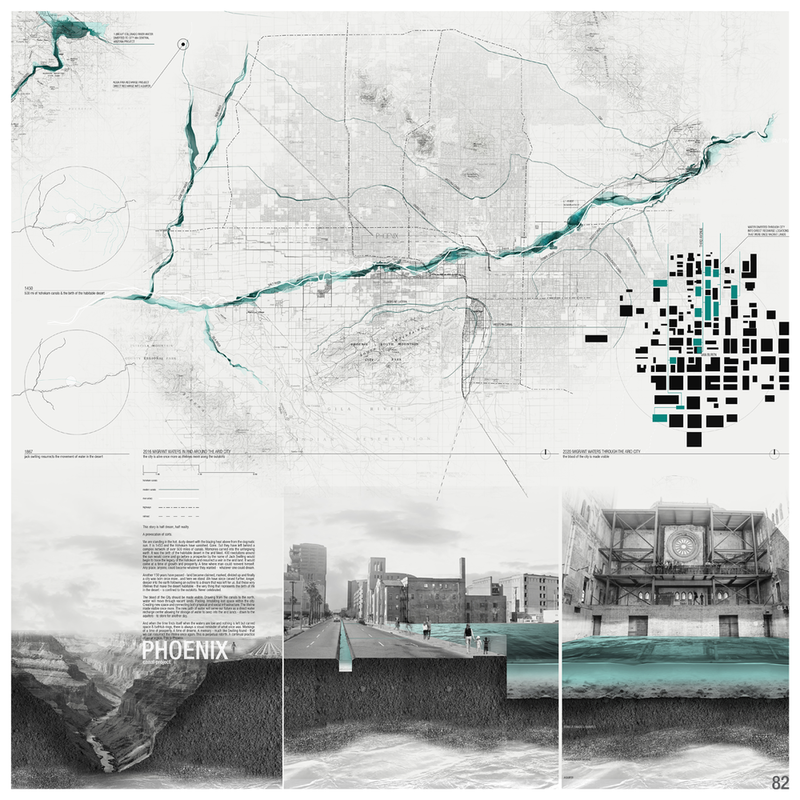 Entrants are encouraged not to follow trends set forth in other cities, but to find ways to use this City’s unique assets, infrastructure, climate to forge a unique vision for the City’s future. Entrants are asked to present their ideas through a concise written description and a single digital board that elegantly conveys their project. This competition is intentionally open-ended and entrant directed. Proposals can be as visionary or pragmatic as desired in both identifying and answering the challenge(s) set forth. Entries will be judged on the clarity with which they present the relevance of their proposal and how effectively they design and communicate the idea that captures its essence. 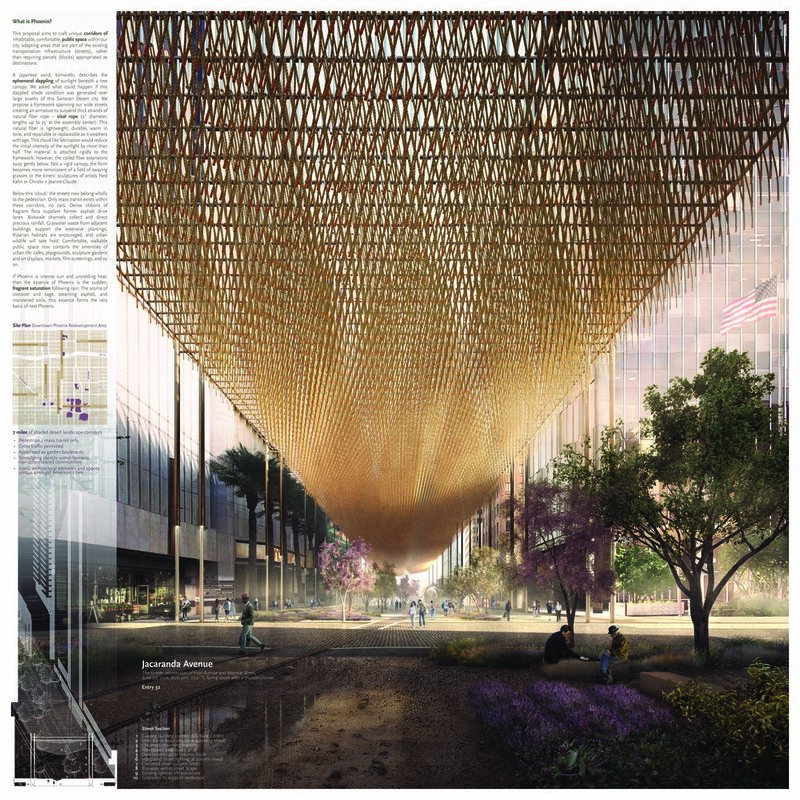 The winning entry will be thoughtful, well conceived, graphically communicative and inspirational not only to architects but to the community at large. 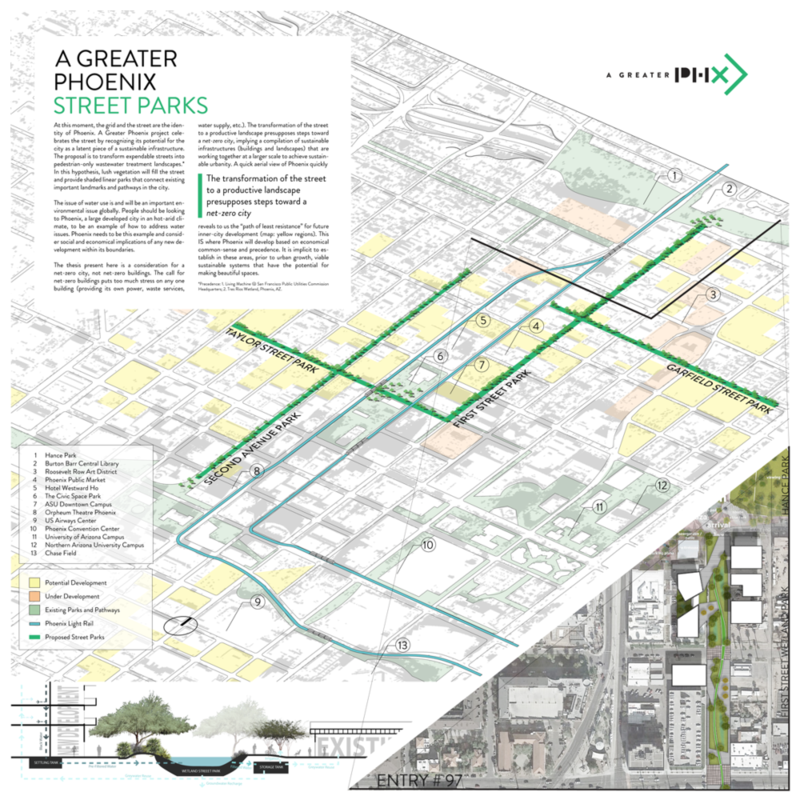 Within Downtown Phoenix Redevelopment Area: https://www.phoenix.gov/econdevsite/Documents/085493.pdf Entrants are encouraged to use vacant or under-utilized land. The sites can be publicly or privately held. _written description that clearly and succinctly articulates the entrant’s proposed program and project. This description - limited to 300 words - must include an explanation of the program and what they hope to achieve through this intervention. This explanatory text should be graphically composed and includded on the board. 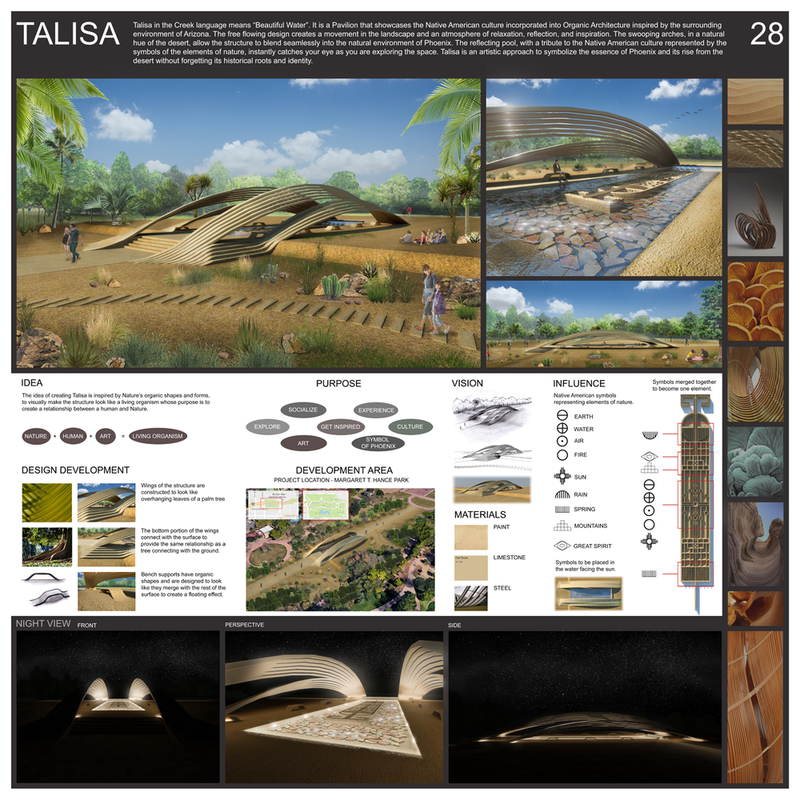 _(1) 36” x 36” presentation board (150 dpi) digital file sent via internet (JPG or PDF) + mounted hard copy. There are no requirements as to the number or type of drawings and/or depictions that need to be included on the presentation board. Entrants are asked to expressively communicate their ideas through visually distinct and beautiful boards. Supporting materials such as financial models, sustainable strategies, tectonic innovations, etc are encouraged, but must be included solely on the entrant’s presentation board. 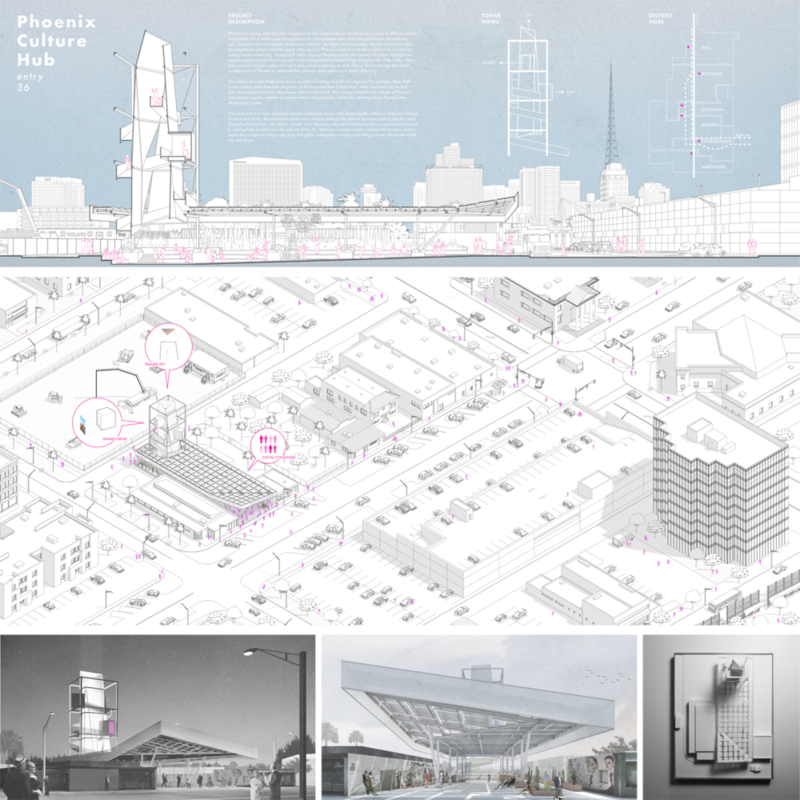 _the AIA and/or City of Phoenix may choose all or a portion of the entries for public exhibition at their discretion. Boards must be designed with a 1⁄2” blank border (no full bleed). 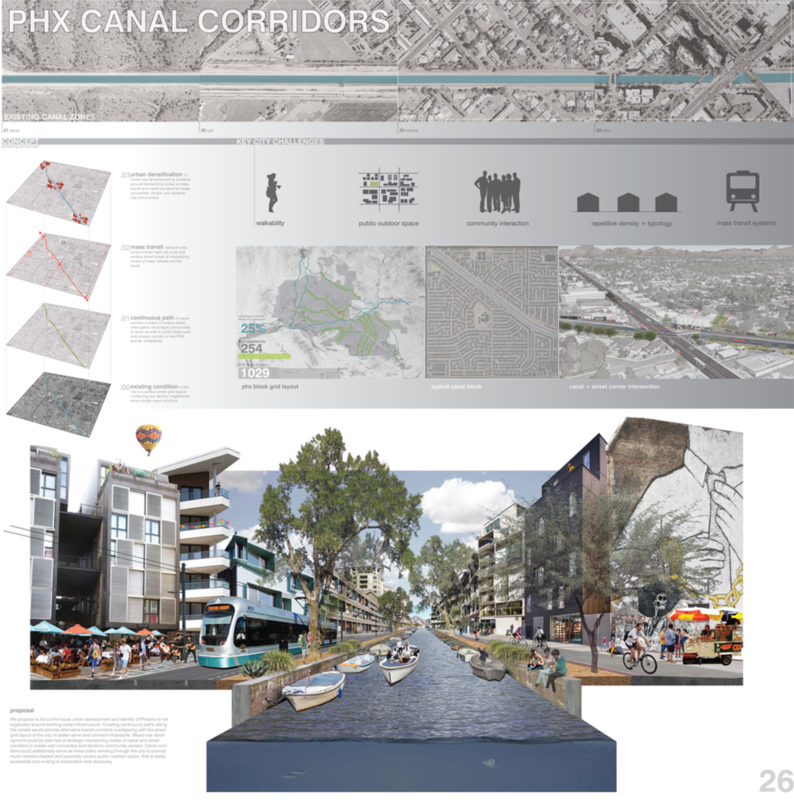 Boards should be sent to the AIA office: AIA Arizona 30 North Third Avenue_suite 200 Phoenix, Arizona 85003. _this will be a blind jury. Entrants will not identify themselves by name on any portion of the written description or board. Entry numbers, provided upon registration, must be placed on the board and the written description in a readily identifiable way at the entrant’s discretion. _An entrant may be an individual or team. _This competition is open to everyone and anyone who wishes to register. _Members of the jury and organizing staff are not eligible to participate. This will be a blind jury. Once registered, entrants will use only the entry number provided to them to identify their presentation board and written description. 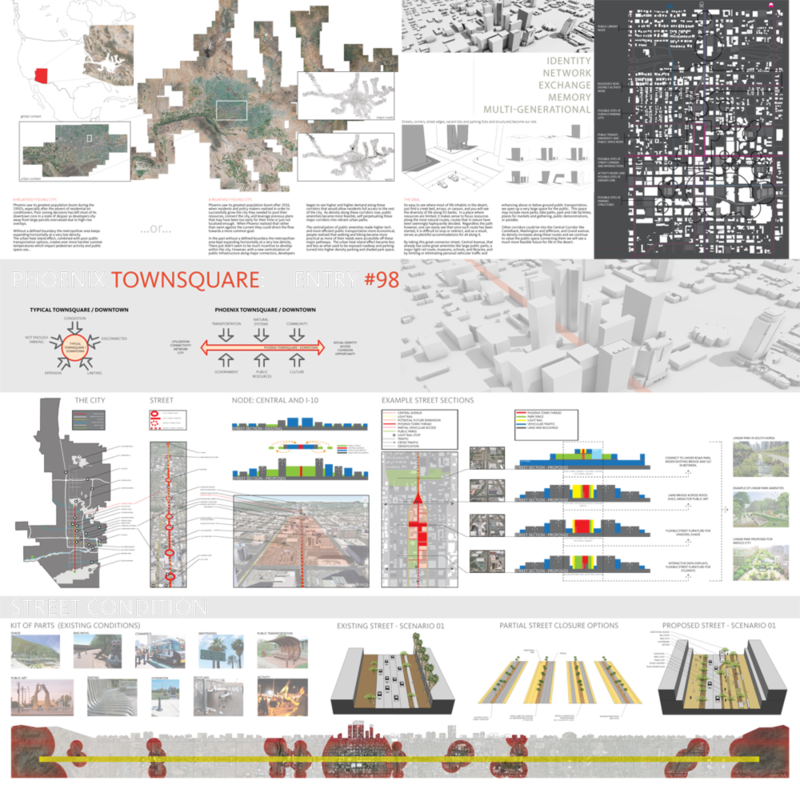 Results of this competition are intended to generate ideas that might aid the City of Phoenix in showcasing a strong vision for our city. Additional details and publication information to be announced later.